Several of Richard’s close relatives also had cancer during their lives. His family’s cancer history and Richard’s understanding of biochemistry and genetics, increased his awareness of his elevated cancer risks, the complexity of the disease, and the possibility of its recurrence after years of tests that could not detect any malignant tumors. In 2011 he developed prostate cancer that was treated with surgery, hormones, steroids, and radiation therapy. Bladder cancer and treatments followed in 2014, and three years later a new colon cancer was detected. Richard is now receiving chemotherapy and immunotherapy treatments at Cayuga Medical Center. Richard says he has had lots of support from his family during his years with cancer. His background in science and research allowed him to review medical studies and understand his complex treatments. That gave him a perspective few patients have on the biochemistry and genetics of cancer. “I spent a lot of time researching the literature and could grasp much of the science behind the care I was receiving,” Richard says. 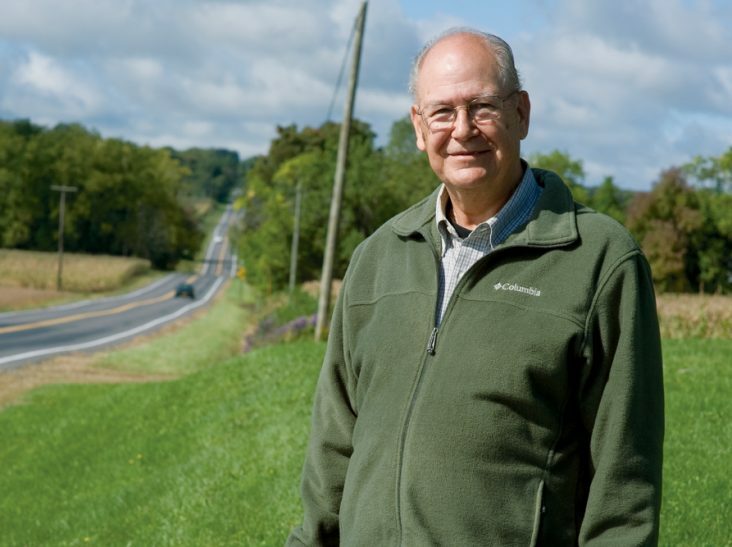 For Richard, the friendly smile of a familiar volunteer is a key benefit of the partnership developed between the Cancer Resource Center of the Finger Lakes and Cayuga Medical Center. Every three weeks, Richard receives immunotherapy at the hospital. When he and his wife, Pat, arrive, a Cancer Resource Center volunteer is there to greet them while nurses attend to Richard’s care that takes about two hours for tests and an infusion. “It’s like coming home,” he says. “There is always someone to talk to, and it makes it more pleasant for the 30-minute infusion.” The partnership aims to have the same volunteer at each patient’s infusion appointment. “Pairing patient and volunteer fosters friendships and a better understanding of what other kinds of support a patient might need,” says Monica Vakiner, client services director at the Cancer Resource Center of the Finger Lakes.